Eunjung Lim is an Assistant Professor at College of International Relations, Ritsumeikan University. 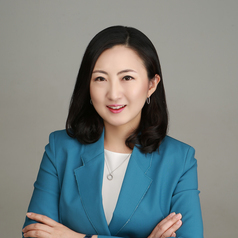 Her areas of specialization include international cooperation, comparative and global governance, and energy and climate change policies of East Asian countries. Before joining the Ritsumeikan faculty, Eunjung Lim taught at Johns Hopkins University SAIS. She also taught at several universities in Korea, including Yonsei University and Korea University. She has been a researcher and visiting fellow at several institutes including the Center for Contemporary Korean Studies at Interfaculty Initiative in Information Studies at the University of Tokyo, the Institute of Japanese Studies at Seoul National University, the Institute of Japan Studies at Kookmin University, and Institute of Energy Economics, Japan.